All AKAGI FARM homes currently listed for sale in Draper as of 04/25/2019 are shown below. You can change the search criteria at any time by pressing the 'Change Search' button below. "Custom built, one owner in Akagi Farm! Open 2-story, Great Room floorplan with large windows and lots of natual light! Formal living and dining rooms, Chefs kitchen with built-in Viking refrigerator and Viking gas range, double ovens, large center island. Full basement has wet bar and could easily be full kitchen. 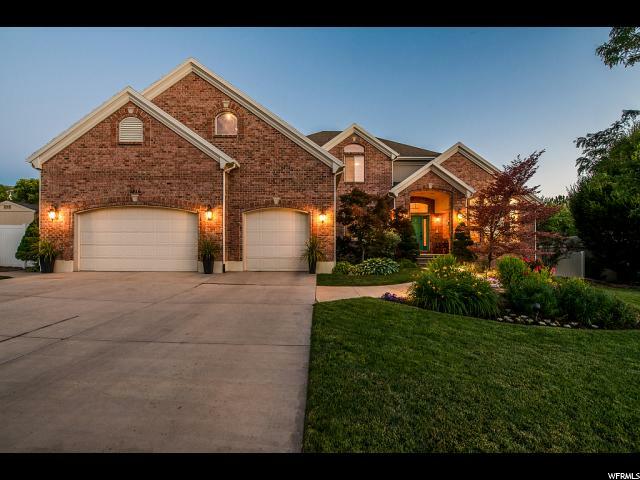 Park like .59 acre lot, meticulously landscaped with large patio and gas fire-pit for entertaining, irrigation water connected and included. Vacant lots like this one in Draper are selling for over $400,000 alone! Great value! Move in condition or update for hundreds of thousands less than building new! Awesome finished garage with it's own heat source. No HOA fees! EZ to show with appointment!"